FOX Sports Knoxville Periscope User Stats This is FOX Sports Knoxvilles periscope stats website page. This is FOX Sports Knoxvilles periscope stats website page. FOX Sports Knoxville created profile on 2015-11-27 Time 15:57:06 and last update profile time is . FOX Sports Knoxville total followers is 1723 and FOX Sports Knoxville total following is 5 . FOX Sports Knoxville twitter nickname is FOXSportsKnox. 3&OUT Is Live! Rick Barnes Strikes Back! 3&OUT Starts Now! Oh, Ricky...Not Like This. Overtime is LIVE from the #Fanrun Studios! 3&OUT Starts Now! Weekend Recap! Overtime is LIVE from the Fanrun Studios! The Drive Starts Now ONLY On Fanrun Radio! 3&OUT Starts Now! Friday is Here! 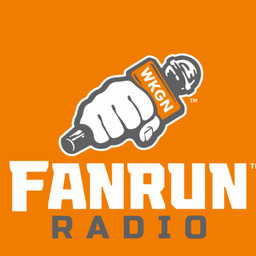 The DRIVE is LIVE on Fanrun Radio! 3&OUT Is LIVE! Happy Thursday! The DRIVE Is LIVE From The Fanrun Studios! 3&OUT Starts Now! Optimism Tuesday! The Drive is LIVE on Fanrun Radio! Orange & White Game, Masters, GoT! Talk Sports rolls on! Hour 2! 3&OUT is LIVE! Orange and White Recap and TIGER! 3&OUT is Live! Orange and White Weekend! 3&OUT Is Live! Grant Williams to Test NBA Waters. Overtime is LIVE! Barnes Stays Home, Grant Declares for NBA! 3&OUT Starts Now! Barnes is Back! Overtime is LIVE from the Fanrun Studios: Barnes Watch! 3&OUT Starts Now! Rick Barnes to UCLA!?!?! 3&OUT Starts Now! Happy Friday? The Drive is BACK on Fanrun Radio!!! "Hello Darkness, My Old Friend"
The Drive is LIVE on Fanrun Radio!!! "Hello Darkness, My Old Friend"
3&OUT Starts Now! Sweet Sixteen!